New quintuplex pumps with drive powers of up to 800 kW. With splitted gear box and improved maintenance possibilities. Three-head NOVADOS series metering pump replaces a high-rev centrifugal pump at the Puralube refinery. 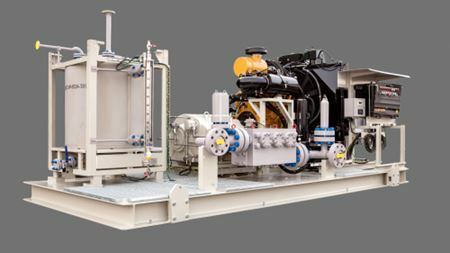 Finder Pompe S.p.A. has completed its largest pump order ever for HHI’s Jeddah South Thermal Power Plant in Saudi Arabia. This article examines the contribution made by some of the activities provided by Russian energy saving legislation adopted in recent years.